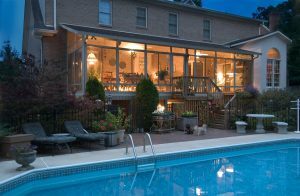 SRA Home Products invites Jackson, New Jersey, homeowners to peruse our wide selection of customizable sunroom additions. 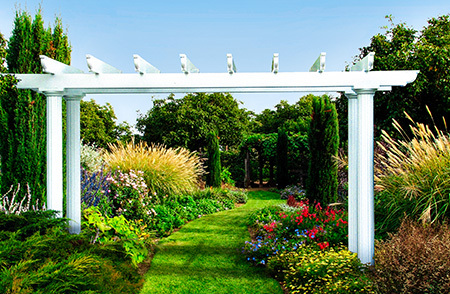 Our sunrooms, which are all manufactured by industry leader TEMO, feature a heavy-duty, fully extruded aluminum frame and a protective TEMKOR polymer coating. 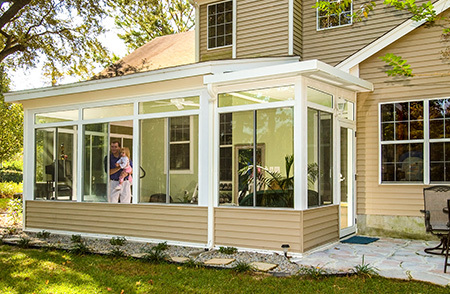 With dual vinyl bulb seals, interlocking roof panels, HPG 2000 glass, and more, you can feel confident that our sunroom additions will stand strong for many years to come. In addition to selecting the style of sunroom you’d like to have installed, you can also choose the color of the frame (white, sandstone, or bronze). With regard to the windows, you can choose between the prime window system and the window wall system (featuring operable floor-to-ceiling glass), as well as between single-pane and double-pane options. If you’d like additional protection from the sun, you can also choose to upgrade your windows from SPF 59 to SPF 85. And, if you desire even more customization options, we also offer sunroom additions from TEMO’s Nino Vitale Signature Collection. If you choose to go with one of these sunrooms, you’ll be able to add matching brickwork and siding, a coordinating roof style, knee walls, and more to ensure complete architectural integration. If you’d like to have one of our sunroom additions installed at your home in Jackson, NJ, please contact SRA Home Products today. We’ve been serving local homeowners as a family-owned and -operated company for two generations, and we look forward to working with you.